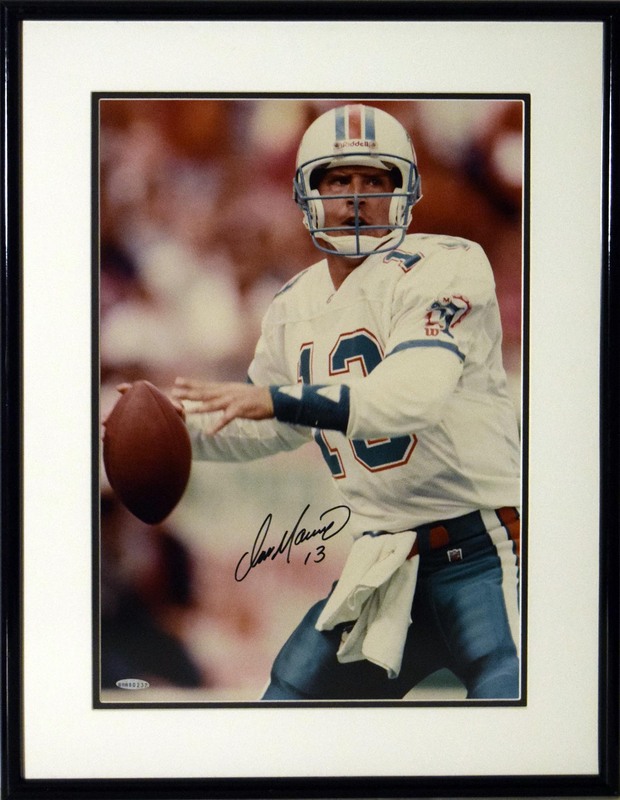 Offered is a classic 13x19 color image of Marino. Dan signed this in perfect black sharpie ink with his #13. Matted and framed to 19x25, this comes with the UDA paperwork.